This is probably the best North Atlantic fleet brochure for the CP ladies in the 1930's . Filled with photos and info .. many of the Newest "Empress Of Britain". The cover shows a beautiful scene of the EOB passing the CP hotel "Château Frontenac" in Quebec. 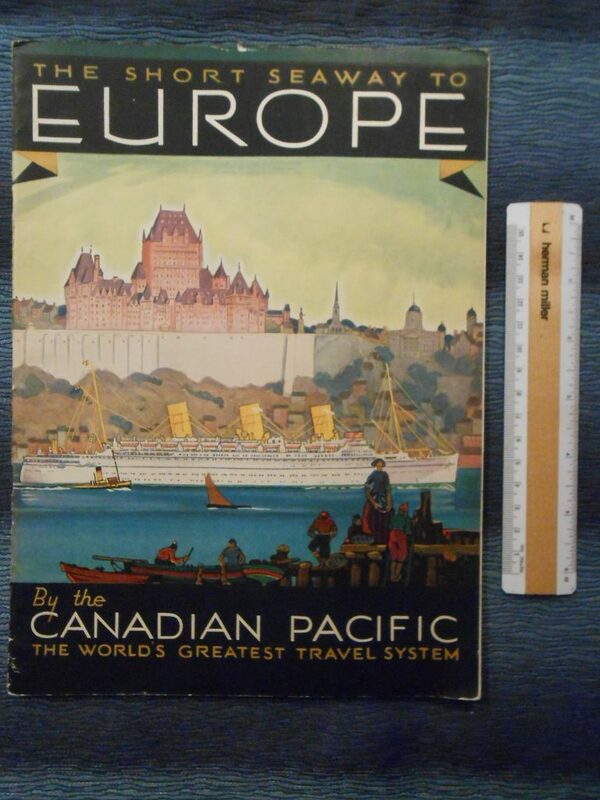 CP probably had the best world wise transit system established in the 1930's There is also a huge colored fold out map. Excellent shape for the age ... this has been well preserved.